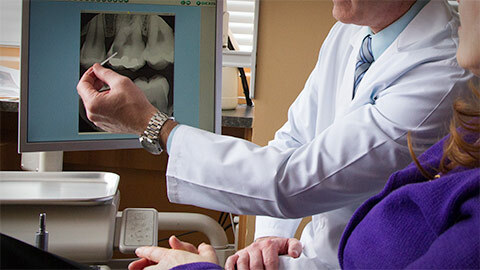 Endodontics is the branch of dentistry that focuses on the “living” part of your tooth. Inside each tooth is a tiny bundle of nerves and blood vessels called the pulp. 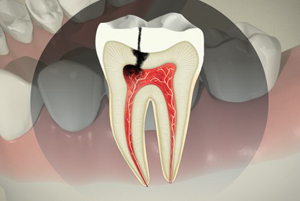 Endodontic treatments treat diseases and injuries to the tooth and gums that affect the pulp and root of the tooth. The most common endodontic procedure is the root canal, in which the pulp is extracted from a tooth in order to save the tooth from being lost. Dr. Sudomir offers endodontic therapy, including root canals, to his patients. If a tooth is damaged from injury or decay, or if a tooth develops a crack, the pulp can become exposed and at risk of infection. To prevent infection, and to save the tooth, the pulp needs to be removed. The procedure, called a root canal, involves drilling into the tooth, surgically removing the pulp, and then sealing the tooth to prevent infection. The tooth is then restored with a crown or a similar restoration. If you have a damaged tooth and you would like to know if you require a root canal to save it, contact our office today to book an examination.